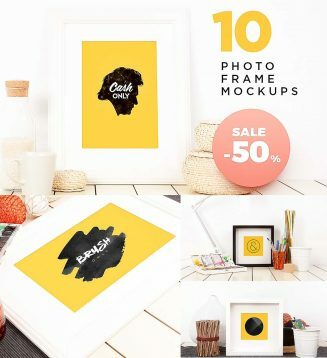 Each Photo Frame Mockup Psd image has been composed and shot with a real camera. That makes it perfect for your photo’s and designs, it’s as real as a mockup can be. In this pack you’ll find 10 frame images. Tags: branding, frame mockup, frame psd, mock-up, mockup psd, photo mockup.